Although green and energy efficient homes have grown in popularity, they often carry a hefty price tag. But, mechanical engineer, Victor Zederej of Solar Homes, Inc., had a goal. His 4,500-square-foot Pura Vida (Pure Life in Spanish) demonstration home would be different. It would prove you could build a home that was 60% more energy efficient without breaking the bank. Energy efficiency and SIPs from Insulspan® played a key role because they go hand-in-hand. His initial research took him to Germany where he learned about the Passive House standard. Passive Homes use a super insulated building enclosure and passive solar heating, drastically reducing energy needed for home heating. Back in Oregon, IL, Zaderej applied the same principles to the Pura Vida. 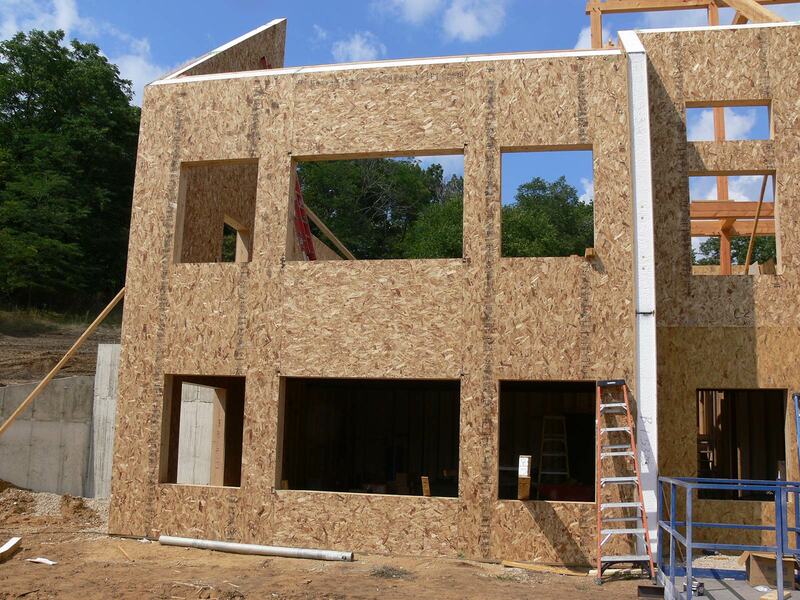 He used the Advantage ICFs system® for the home’s basement level and the Insulspan® Structural Insulated Panel (SIP) system for the walls and roof. “…the thermal envelope of the building is what makes it really efficient.” – Victor Zaderej, Solar Homes, Inc.
Windows on the south-facing wall allow sunlight to heat the home’s concrete slab. The concrete absorbs and slowly releases the heat during the night. Zaderej also installed a fan system that circulates air heated beneath the metal roof to a concrete wall inside the home, with the same effect. A small windmill and many other energy improvements were installed on the home, but the cost of all the energy saving measures was only 10% more than an average home. When spread out over a 30-year mortgage, Zaderej states the price is reasonable when you take into account the monthly savings on heating and cooling. The Pura Vida is now serving as a model home for builders, architects, and homeowners who are looking to build similar energy efficient homes.